This article addresses five common deficiencies that Sector Houston-Galveston Port State Control Officers (PSCOs) have fund on liquefied gas carriers. In 2018, Sector Houston-Galveston conducted 141 Certificate of Compliance (COC) exams on liquefied gas carriers, seven of which resulted in IMO detentions. This equates to a 5% detention ratio, which is more than double the national average for IMO detentions in 2018 (1.5 %). Some combination or other of the below listed deficiencies were cited in all of the Sector’s aforementioned gas carrier detentions. The purpose of this article is to share information and prompt owners, operators, surveyors and other involved parties to take proactive steps to identify and correct sub-standard safety and environmental stewardship conditions before Coast Guard port state control intervention, including COC removal, cargo cessation and/or detentions, becomes necessary. PSCOs continue to find inadequate and/or even zero spray coverage by way of cargo tank domes, transfer manifolds and other critical areas requiring protection under section 11.3 of the IGC Code. The main cause has been spray nozzle and associated piping blockages caused by extensive debris such as sand blast grit, rust/scale and even small menhaden fish. Routine maintenance and testing of the system should lead to easy identification and correction of blockages. The periodic removal of orifice plates and/or in-line filters installed on the main or branch lines to check for and remove debris has proven to be an effective best practice in ensuring a free-flowing system. Among the first items PSCOs review during an exam is the COF and they continue to frequently encounter obvious and significant errors on this key certificate. 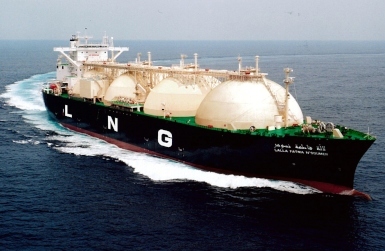 Issues found have included certificates altogether missing cargoes, listing of incorrect ambient design temperatures, incorrect relief valve settings and so on. It is incumbent on the issuing authority, the vessel’s owner/operator and crews to verify the accuracy of these certificates or risk cargo delays. These five items are not exhaustive and in no way cover the entire scope of deficiencies found during PSC examinations on liquefied gas carriers. Rather, they represent an executive summary of five common issues discovered by Sector Houston-Galveston PSCOs on liquefied gas carriers in 2018 that have specifically resulted in intervention measures. Vessel owners and operators are reminded that if any system on board the vessel is not in good working condition, the crew should take the necessary actions to remedy the situation in accordance with their company’s SMS, and receive full support from the operating company. It is highly recommended that a record of any actions taken be maintained as evidence that the SMS is being used to proactively manage the situation.